To grab the attention of Hollywood, Christian films must be based on real life stories, says a top Hollywood executive. 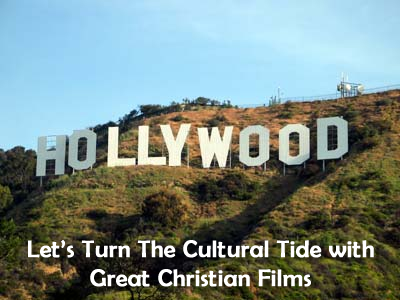 Too often Christian films are mediocre, at best, and miss the mark of a top Hollywood story. 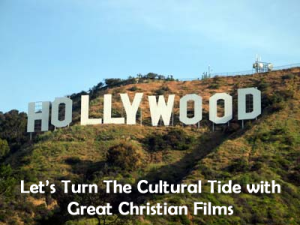 But why would we want Christian films to be produced by the giants of Hollywood? It’s simple. They reach throughout the world with their films. They have the channels all set up, they have all the connections in place. Distribution is like clockwork and they can reach more people through film than any other medium. It’s not for glamour, but for sheer numbers of viewers that we desire Hollywood for Christian films. But to get Hollywood’s attention, solid real-life stories are needed. This article discussed why it’s important for Christian writers to master their storytelling craft. NASHVILLE – A top Hollywood studio executive has called on Christians to focus on producing real, well-written, true-to-life stories to really capture the attention of the entertainment industry. “I absolutely believe that a lot of times, when it comes to faith-based content, we portray sometimes the ideal of what we believe,” DeVon Franklin, senior vice president of Production for Columbia Tristar Pictures, a division of Sony Pictures Entertainment, said during a panel on Christian engagement with the media, at the National Religious Broadcasters’ International Christian Media Convention on Monday. Franklin, who oversaw notable films like “Sparkle,” starring Whitney Houston in her last on-screen role, as well as “The Karate Kid” remake, and “The Pursuit of Happyness,” and who is now helping with the upcoming film “Heaven is for Real,” said Christians need to get beyond the points that divide them. “If we aren’t united, we will continue to see little blips on the radar, but fail to make a significant impact,” he stressed. Although Christians are making strides this year with a lot of content coming out in theaters, including “Son of God” this week, “Noah” in March and “Heaven is for Real” in April, there is still a lot of work to be done to really engage the entertainment industry, he said. “It’s not good enough to say ‘I’m a Christian writer.’ You have to be a great writer, a great director, a great actor. And I think part of what God has called me to do is try to really help because if we can make great content, [it] will break down barriers,” he continued. The Columbia Tristar VP insisted that if a film fails to represent the true journey of life, which is hard, then that movie will have a limited impact.